Shakespeare? Math puns? 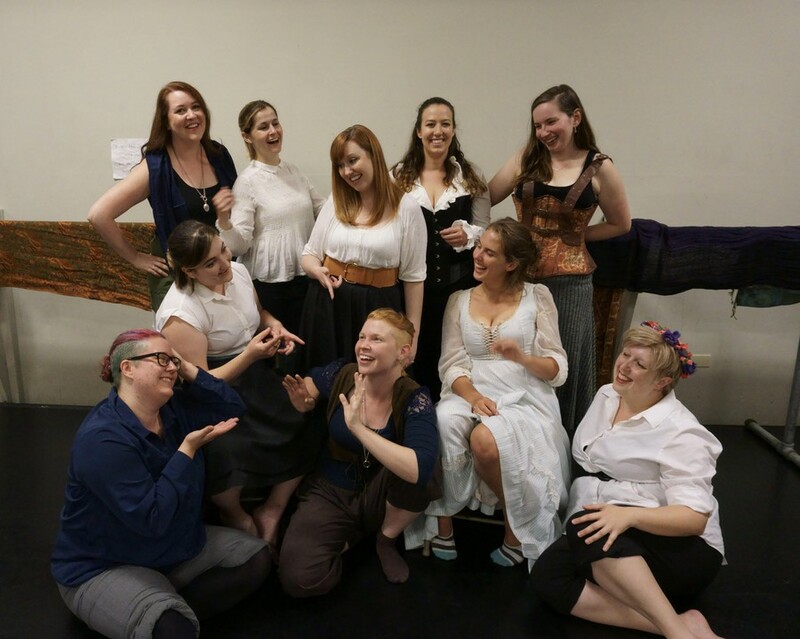 A fairy court and a feminist spin? These are just a few of the improvised golden nuggets from last Wednesday’s performance of The Shrews’ Unsex Me Here at the Second City’s Judy’s Beat Lounge. Although performed at the venue, the production is otherwise not affiliated with the Second City. Impressively, the Shrews managed to weave together a series of seemingly unrelated plot lines into a remarkably cohesive narrative: A man who just woke up from a slumber of nearly 40 years fits nicely into commingling plots of mathematical ineptitude and unrequited love. In a mere 45 minutes, the Shrews enchanted with the mischievous deeds of the fairies presiding over the noble fairy court (deeds as bad as—dare I even say it—moving a doorknob), induced awe at the number of possible milk-related puns, and served up a hefty share of political criticism. The show’s closing line perhaps best showcases its political timeliness: “With their newfound math knowledge, the fairies had the chance to take up even more advanced endeavors, like election tampering and climate change!” a Shrew quipped. In other scenes, the show also uses traditional language (‘thou’, ‘art’) to make a progressive point, both honoring the Bard and building on his signature moves from a 21st-century angle. To see a show so willing to make fun of both itself and our current political problems was a breath of fresh air. And the best part is that this kind of show never gets old. Quite literally, one could attend all four performances in The Shrews’ one-month run and see an entirely different show each time, thanks to the nature of improv. The cast didn’t have to try too hard to be funny either. The lines of improvised Shakespeare felt candid, not verbose or overly contrived. My only criticism is that 45 minutes simply weren’t enough—there were more Shakespearean insults to be hurled and ridiculous math puns to be made.